An excellent book that is time tested to learn Quran and Tajweed rules. 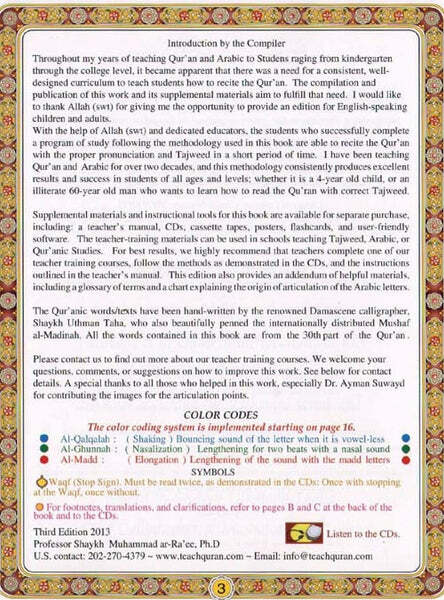 This book offers complete set of rules of Tajweed. 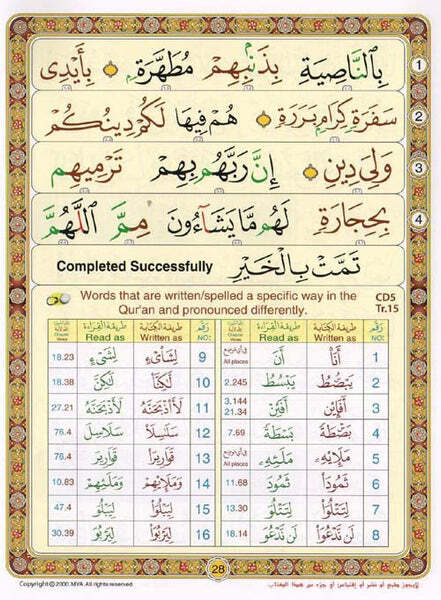 Mastering the pronunciation and recitation of Arabic text of the Quran is highly challenging especially for non Arabs. This book can be of great help for all learners. Noorani Qa'idah is designed to teach learners the accurate recitation of Quran as it is important for all Muslims to learn to recite Quran in Arabic. It offers a complete comprehensive learning experience making its learners independent recitors onces the program has been mastered. It is highly useful for all recitors of the Quran. This item is only for the book which is included in the full album found under the related items. This book can be used by itself or with help of a teacher. The 5 CDs in the full album (sold separately) go over the complete book.